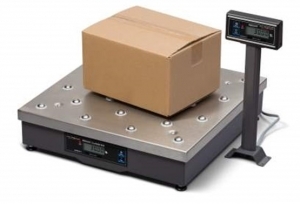 Our range of post, mail and shipping scales are highly accurate, developed in partnership with our customers and designed for use in a range of environments, from retail counters to back office systems. Most are highly connective, able to integrate into existing pos and data systems. They can stand up to a busy day in the post office or mail room, day after day, and still discern very small differences in weight. The postal scale range features easy to use operator displays, for error free, rapid customer service. Avery Weigh-Tronix boasts an extensive range of industrial products applicable to the postal logistics industry that can enhance productivity and optimize revenue. This parcel scale comes standard with a six digit LCD remote display on a seven foot cable, allowing you to mount the display wherever needed. 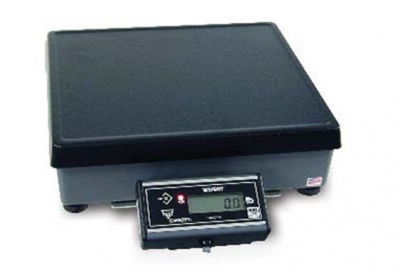 The 7885 postal scale is switchable between lb/kg and has a capacity of up to 150lb. It is 0.45 meters square, able to handle most large and oversized parcels. 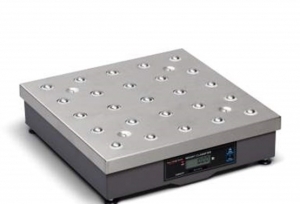 It is extremely robust, with a stainless steel top pan and painted mild steel base. This shipping scale has an optional ball top weighing platter, for integration into conveyor lines. The 7885 parcel scale is simple to use and simple to integrate into existing shipping and mailing systems via RS232 and able to integrate with 3rd party shipping software. 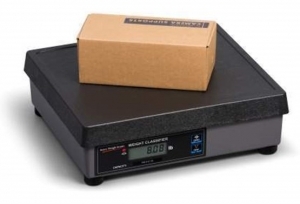 This postal scale is highly accurate and legal for trade in the US, allowing you to charge by weight directly from it. The 7815 parcel scale’s robust construction and reliability, with a die cast aluminium base and ABS plastic weight platter, ensure accurate parcel weighing day in, day out. The 7815/7815R shipping scale can be integrated into existing network systems via RS232 and supports multiple protocols for use with 3rd party postal software. It has an optional front mounted remote display for improved customer service. Other options include a stainless steel top pan and a ball top shroud, for conveyor integration. 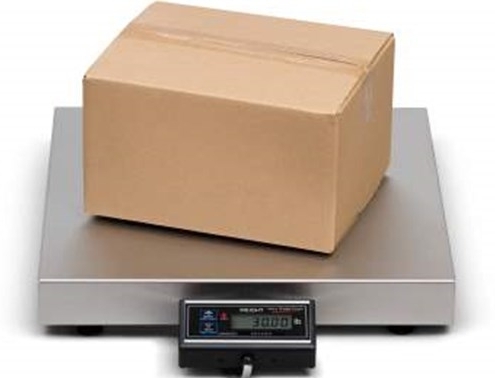 The 7880 durable 18” x 18” Bench Scale provides the best accurate and reliable weight measurement for static or in- line shipping applications. Designed with a hard wearing stainless steel weight platter and a rugged powder coated, carbon steel base housing that helps to fully protect the centrally mounted aluminum analog load cell from damage. Supplied with a built-in flush fitting, six digit 1⁄2” high LCD display that is mounted centrally in the front face of the base. An optional second remote display can be plugged in to give a customer facing weight reading. A range of emulation protocols are available within the scale to allow you to quickly select the correct compatible communication protocol to interface with a wide range of third party post, mail and shipping software programs or host devices. This will be communicated through either a serial RS232, USB (HID) or USB (VCP) port found on the rear of the base.